2,000 people are departing Dublin airport this morning (Monday) as part of the largest annual pilgrimage to leave Ireland for the French Marian Shrine of Lourdes. The 66th Dublin Diocesan Pilgrimage runs until Saturday and will be led by Archbishop Diarmuid Martin. From 6am this morning seven specially chartered flights have been leaving Dublin airport with 175 sick pilgrims, 52 volunteer nurses and 8 doctors and 560 volunteer helpers and 300 young people and students as well as parish groupings. Archbishop Diarmuid Martin is leading the Pilgrimage for the 12th time, having first travelled as a seminarian. The Pastoral theme of this year’s Pilgrimage is “The Joy of Mission”. Archbishop Martin said the Lourdes Pilgrimage was extraordinary in how it could bring together so many and impress so many; “from strong believers to the plain curious, and even perhaps the cynical.” He will celebrate the Opening Mass at the Grotto with the entire group tomorrow morning. The Dublin volunteer group is made of up nurses, doctors, handmaids, brancardiers, secondary school students and voluntary helpers. 18 Dublin Parishes travel in their parish groups. 130 students from 22 secondary schools across the Diocese are taking part. 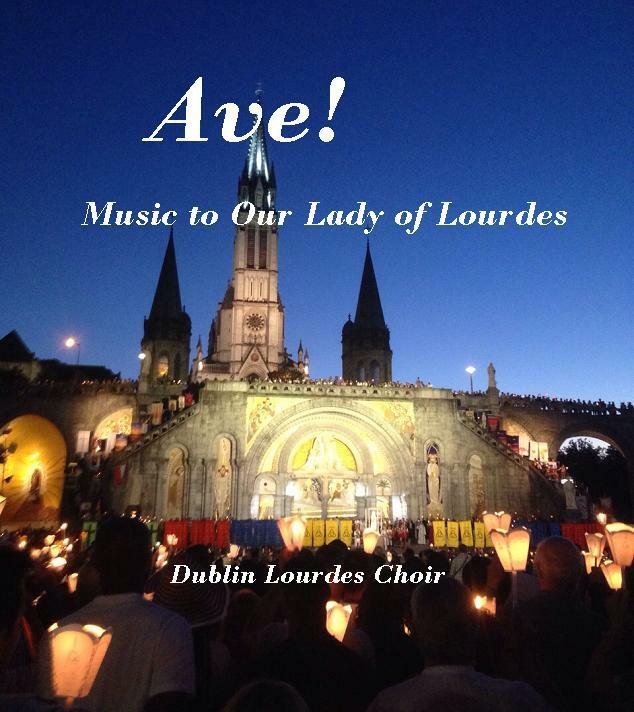 Music for the pilgrimage will be led by the Dublin Lourdes choir, which has recently recorded and produced new music for the 2015 Pilgrimage. The Dublin Lourdes Folk Group has grown in both numbers and harmony over the last couple of years and will also be enhancing the liturgies in Lourdes. Throughout the Pilgrimage students taking part will blog about their experience. While the Pilgrimage is led by the Archbishop and priests of the Archdiocese of Dublin other Irish people staying or visiting in Lourdes are invited to participate at any time during the week. The Dublin Diocesan Pilgrimage departed from Dublin Airport for Lourdes on Monday 7th September. The Mass for the Blessing of Hands took place on Sunday 23rd August at the Church of St Thérèse, Mount Merrion. The Dublin Lourdes Choir with director Damian Gallagher, who also prepared all the orchestrations, and soloist Sharon Lyons have recorded a new CD of settings of Ave Maria. It is hoped that this CD will give people a sense of the grace-filled comfort, peace and prayer of Lourdes. Proceeds from the sales will go towards financially supporting sick children and adults who otherwise could not make a pilgrimage to Lourdes – a remarkable place of spiritual, emotional and even miraculous physical healing. The CD will be available from the Lourdes Pilgrimage Office after 12 September – tel. 01 837 6820 or 01 808 75 55. The Dublin Lourdes Choir was founded in 1972 to provide liturgical music for the Dublin Diocesan Pilgrimage. For over 40 years the Choir has led music at various celebrations during the pilgrimage to great acclaim. The Dublin Diocesan Pilgrimage to Lourdes takes place from 7th – 12th September every year.